Idaho House lawmakers have once again refused to consider a bill that would extend health insurance to low-income residents. Wednesday morning, legislators voted 42 to 27 to send the proposal back to a committee, effectively killing it for the year. Governor Butch Otter’s bill would enroll Idahoans who need costly medical care for severe health conditions under Medicaid. It would also extend insurance subsidies to about half of the estimated 62,000 people who earn too much to qualify for the program. 33 states and Washington, D.C. have expanded Medicaid eligibility to cover that entire population — something Idaho lawmakers have refused to do for years because it would expand government. “It’s not our job here to hide from votes just because a bill may fail,” says Rep. Ilana Rubel (D-Boise). It’s the second time this bill has made it to the House floor. Legislative leaders shuttled it back to committee earlier this year, saying it didn’t have enough support to pass. Rep. Fred Wood (R-Burley), who sponsors the measure, says that’s still the case. “This bill will not go anywhere this year – it never was going to go anywhere this year – for a variety of reasons, a bunch of which weren’t political. It wasn’t soup yet,” Wood says. Other supporters, like Rep. Vito Barbieri (R-Dalton Gardens) say protecting the bill from defeat means it’ll have a better chance of returning in 2019. “It will have a life and have the ability to come back next year better. But if we kill it here on the floor and we hear this bill on the merits, the opportunity for it to return to us within a year or two is going to be dead,” Barbieri says. 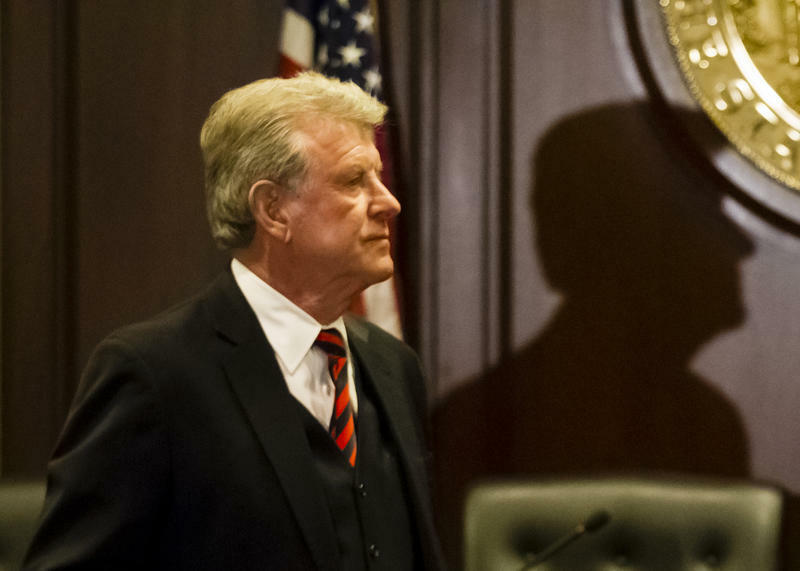 It was Otter’s final chance to tweak Idaho’s health insurance system. He leaves office next January after three terms in office. Wood promises to revive the bill next year, though it’s unclear what support it might find from whichever candidate next sits in the governor’s chair. An Idaho health care proposal to provide insurance to the needy that was deemed dead for the year by legislative leaders has been given a second chance at life.